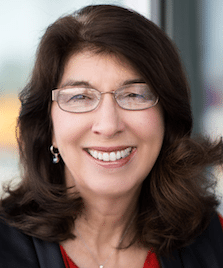 Linda brings over 40 years of experience as a Human Resources professional in several large international corporations and as an Executive Coach to the senior leadership of several top North American businesses. As a graduate of the University of St Andrews in Scotland, with a Master of Arts, Linda began her career with the Ford Motor Corporation of Europe in human resources and industrial relations. Her responsibilities included HR operations and labor union management and negotiations. Upon her relocation to the United States in 1980, Linda spent eight years with roles of increasing responsibility for all aspects of compensation with Hardee’s Food Systems Inc., now owned by CKE. One of her most challenging experiences was the integration of acquisitions into company restaurants and manufacturing facilities in North America and the Middle East. In 1988 Linda was recruited by PepsiCo to head up Worldwide Compensation and Benefits for KFC, where she led all compensation initiatives in over 60 countries around the world. In addition to her compensation and benefits role, Linda headed up a number of company-wide initiatives including executing a significant organization restructuring of positions and personnel and an in-depth review of the impact of compensation and roles and responsibilities on the success of inner-city restaurants. Linda left PepsiCo in 1995 to take the senior HR role for Thorn Americas, a wholly owned division of Thorn EMI. In this role Linda was both coach and advisor to the senior leadership team while serving on the Board of Directors. As a member of the Executive Management Team and SVP, Human Resources, Linda came to appreciate the enormous impact that coaching and development can have on the effectiveness of the senior leadership team and the direct impact this has on a company’s results, revenues and bottom line. From 1998 to 2006 Linda was GVP Human Resources for Level 3 Communications beginning when Level 3 was a start-up organization. In this role Linda built a highly regarded world class Global HR organization. Linda supported Level 3 through many ups and downs, including significant acquisitions and divestitures, opening new markets around the globe, as well as managing several major human capital restructurings. A key challenge was to support the organization in rapidly creating a high functioning leadership team coming from a diverse group of backgrounds. Linda’s contributions were widely recognized throughout Level 3; as a result she was awarded the President’s Signature Award for her leadership to the organization. Beginning in 2006 Linda has served as an Executive Coach to many CEO’s, COO’s and their staffs. Linda has supported several of those businesses in a number of successful transformation initiatives. Through these interactions Linda observed firsthand the impact the creation of strong effective leadership has on individual and corporate results. In 2008, convinced of the impact of this work, Linda joined Trispective as a founding partner. Linda and her husband Nikk, have three grown sons, and make their home in Boulder, Colorado.